Together with Carnegie's Geophysical Laboratory, the Department of Terrestrial Magnetism is celebrating National Postdoc Appreciation Week 2017. 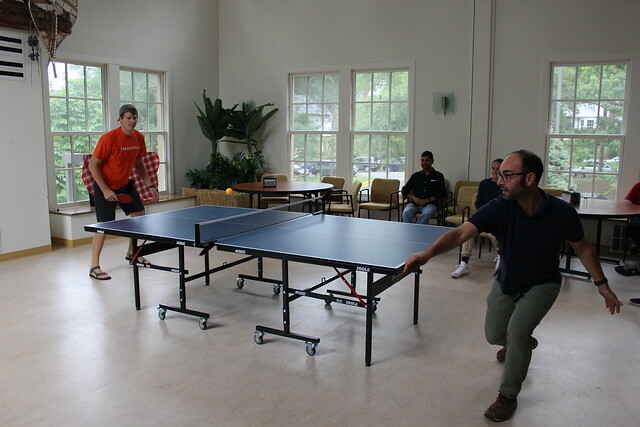 The week kicked off with a ping pong tournament on September 18 at the Broad Branch Road Campus. Postdocs will continue to be celebrated throughout the week with an ice cream social on September 19 and a paint night on September 22. Learn more about Carnegie's postdoc celebrations. Follow our activities on Twitter and Facebook for pictures and updates of NPAW 2017!